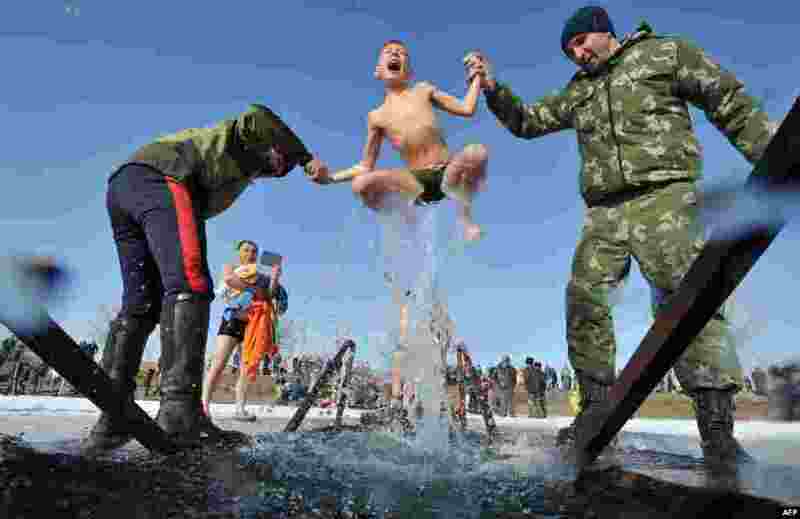 1 Cossacks help a boy to take a bath in the icy waters of a lake during the celebration of the Epiphany holiday near the village of Leninskoe, some 15 km of Bishkek, Kyrgyzstan. 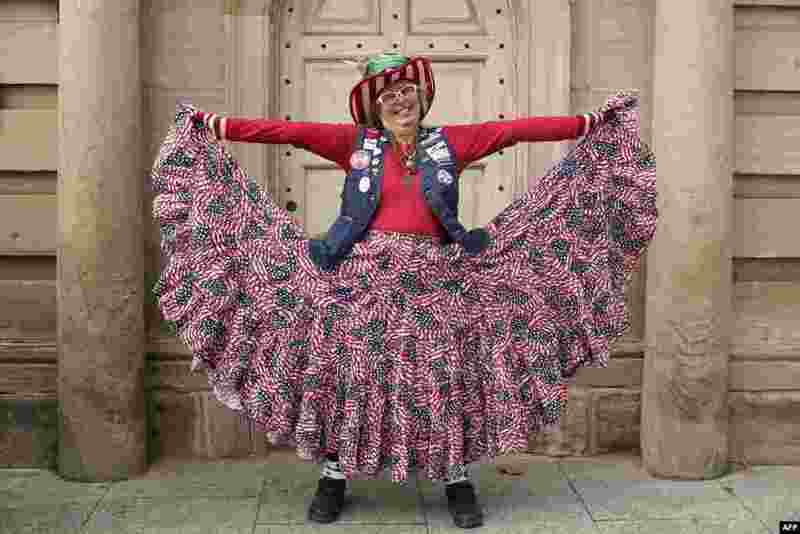 2 Susan Reneau poses for a portrait as she shows off her patriotic outfit near Constitution Avenue in Washington, DC. 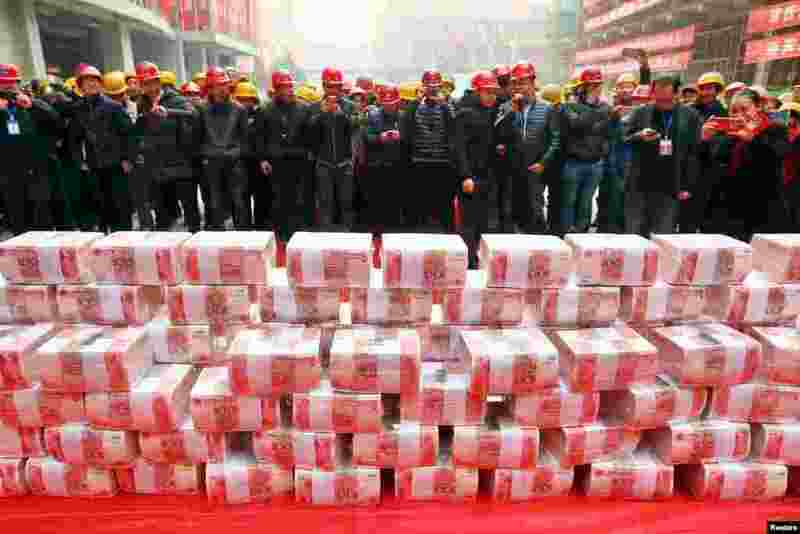 3 Migrant workers wait to collect their salary and bonus ahead of the Spring Festival at a construction site in Xi'an, Shaanxi province, China, Jan. 18, 2017. 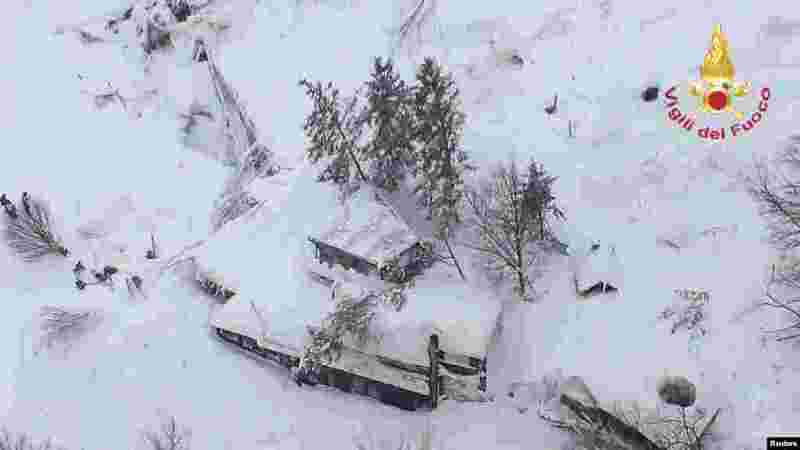 4 An aerial view shows Hotel Rigopiano in Farindola, central Italy, hit by an avalanche, in this handout picture provided by Italy's firefighters.